Here are places you may want to visit alongside your visit to the Jones Falls Trail. The bulleted sites are directly on the trail and listed from south to north. The (P) denotes easy and free parking. The trail begins if you heading north (or ends if heading south) at the Baltimore Visitors Center. (BVC) You can learn about attractions, go to the bathroom, and fill your water bottles here. The BVC is in Baltimore’s Inner Harbor. There is too much to cover, but needless to say there is something for almost everyone here, including many places to eat. After leaving downtown, the JFT passes by a gritty area with a heavy concentration of social services including a jail. Continuing north, the trail follows the western edge of Mt. Vernon, a victorian-era historic neighborhood. To visit Mount Vernon, you should detour several blocks off the JFT to the west. Museums, such as the Walters Art Museum, and restaurants are mostly clustered on Charles Street. 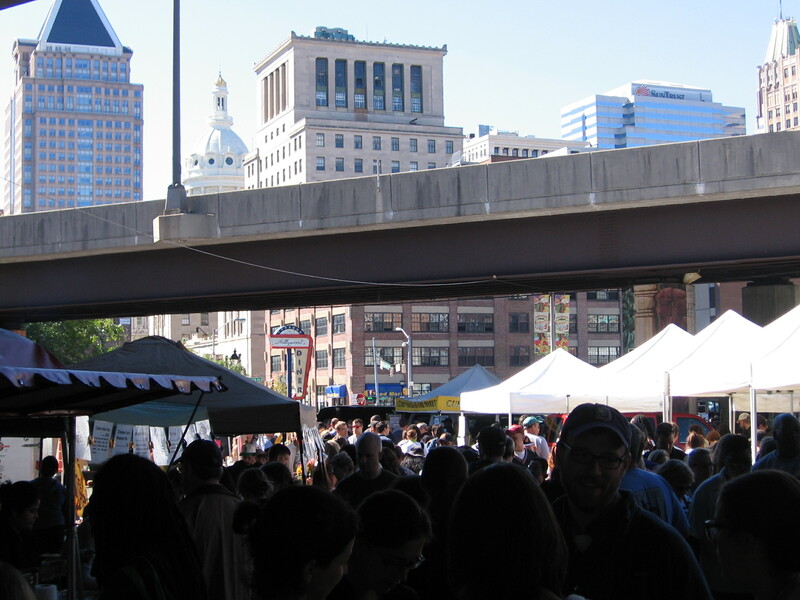 On Sunday mornings, from April to December, consider stopping at the Baltimore Farmers Market. Heading north part 2 begins at Penn Station, America’s 8th busiest train station (or ends if heading south) Continuing north, you will pass the Baltimore Streetcar Museum. After travelling up the switchback, consider a small detour to “the Avenue” in Hampden or a visit to the Johns Hopkins University campus about a mile away. Staying on the JFT, you will enter the 750 acre Druid Hill Park. (DHP) DHP is Baltimore’s first large municipal park. 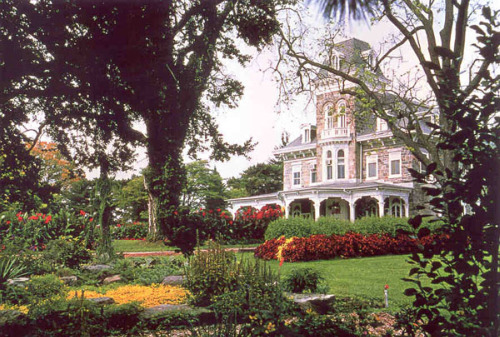 It has a unique collection of monuments and historic structures interspersed among rolling lawns, a reservoir, and thick forest. It is home to the Maryland Zoo in Baltimore and the Howard P. Rawlings (botanical) Conservatory as well as a frisbee golf course. You may want to also see what events are in the park. The JFT continues into the Clipper Mill community. Heading north-part 3 begins at the brick entrance to Clipper Mill (or ends if heading south). It is about 50 feet from the Woodberry Light rail Station. Heading north the trail will eventually realign with the stream and then head out of the valley through the Coldspring neighborhood and arrive at Cylburn Arboretum (the end or beginning of the JFT) Cylburn is a great place to spend a few hours if you have a nice day and enjoy flowers and plants.